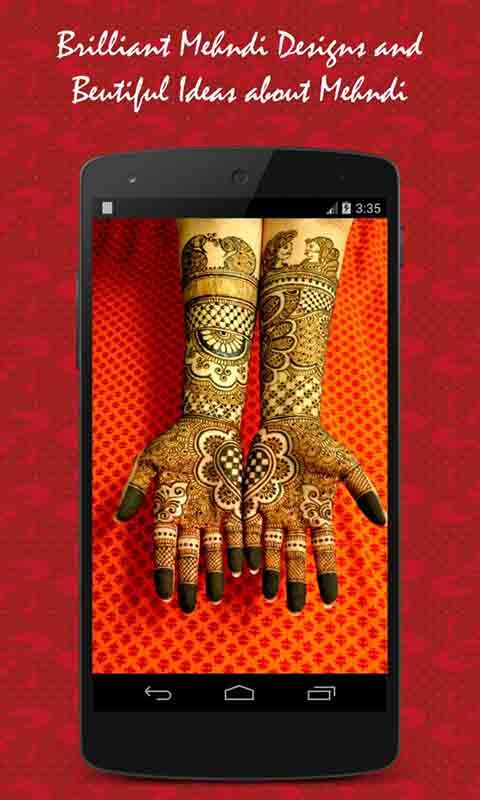 This app contains collection of Best Mehndi/Heena Designs. 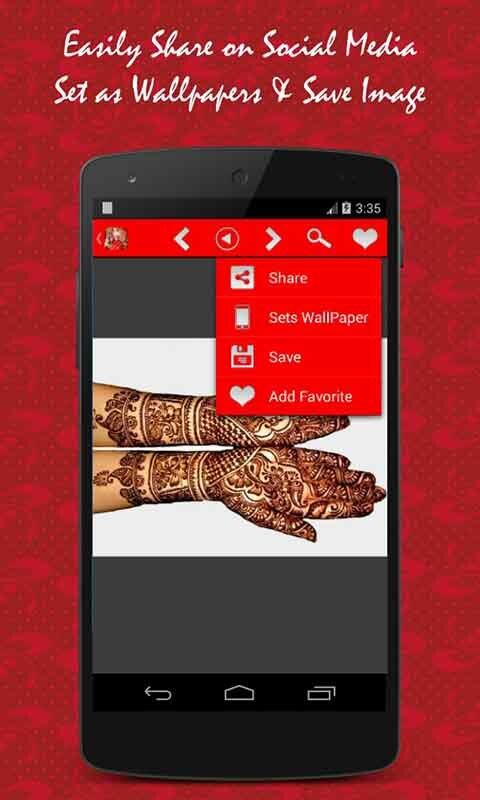 Girls usually love this application because they always look for latest Mehndi designs to look different from other girls in wedding, parties or friends gathering function. There are 1000+ beautiful, attracting and latest designs collection for female for their hands, arm and feet. All High Quality (HQ) images displayed in album with full view. These are the best designs from Pakistan, India, Nepal, Bangladesh and Arab countries well known for Hina/Mehndi Designs. The design images can be zoomed in and out, and can also be added to Favorites, Set-as-Wallpaper and Photo Sharing. 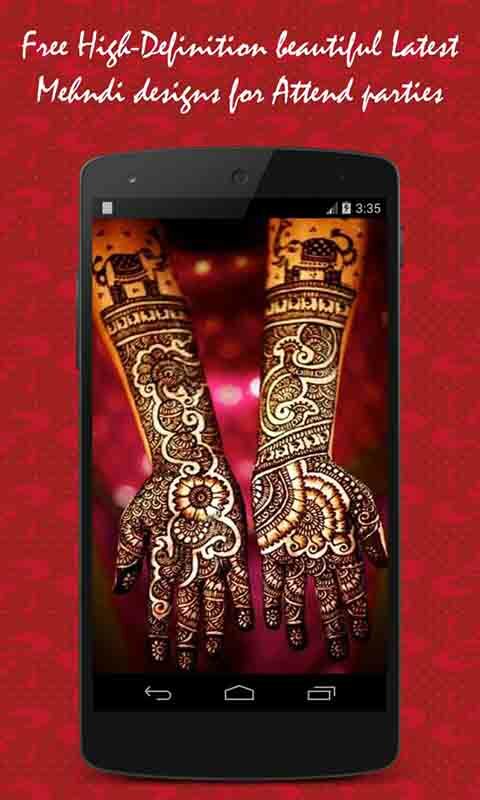 Features: - Casual designs - Hand, Legs , palm and feet Hina Designs - Large amount of Hina / Mehandi designs - Includes Bridal Mehandi Designs - Attractive and latest Hina Designs - Party designs - Set-as-Wallpaper - Share Your Favorite Photos With Your Friends and Family.